Put the Black and Natural Beechwood Vienna café chair in your kitchen, breakfast dining area, hip coffee house or contemporary dining room for an on-trend look that will stay current and evolve as design trends change. 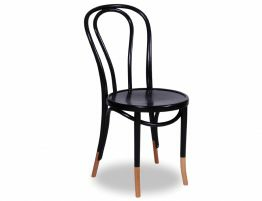 The black Vienna cafe chairs have been a staple of design for over 100 years and persist in being highly sought after classic bentwood furniture pieces. 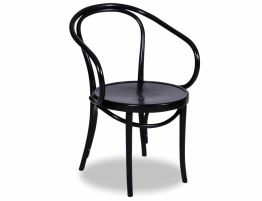 Our original Michael Thonet designed black and natural No. 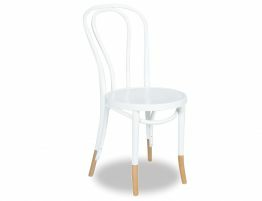 18 Vienna cafe chairs are European made for the kind of wood furniture quality you can count on.Are you looking for café furniture, restaurant chairs, dining chairs or kitchen dining chairs? Our designer dining chair epitomises classic bentwood style with a style update that makes this dining chair fresh again. 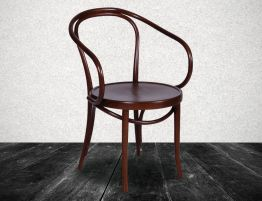 The Thonet catalogue of bentwood furniture artistry has never been out of fashion very long. Why do these designs that are over a centuries old continue to be incredibly popular? 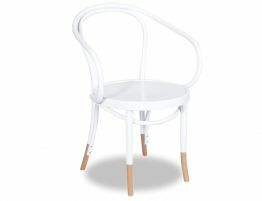 Simply understood, this chair is practical, beautiful, affordable and iconic. Exactly what it was 100 years ago, it is still today. 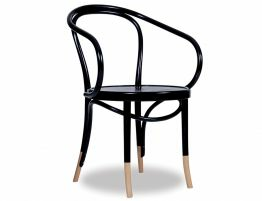 The No.18 Vienna Café chair in black is one of the world’s most recognisable designer chairs and is a great update to your modern home design, refined rustic style or even classic casual. 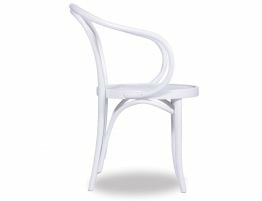 The fashionable Relax House Vienna Café chair is made in Europe by the very same factories that have created masterpieces of bentwood furniture for well nearly 150 years. With beechwood construction and effortless, timeless style--these contemporary café chairs bring the perfect mix of old and new to your spaces.